One balanced stereo line (or mono Mic); and one AUX. unbalanced. MIC inputs have standard 48 V phantom power supply for up to 6 microphones. 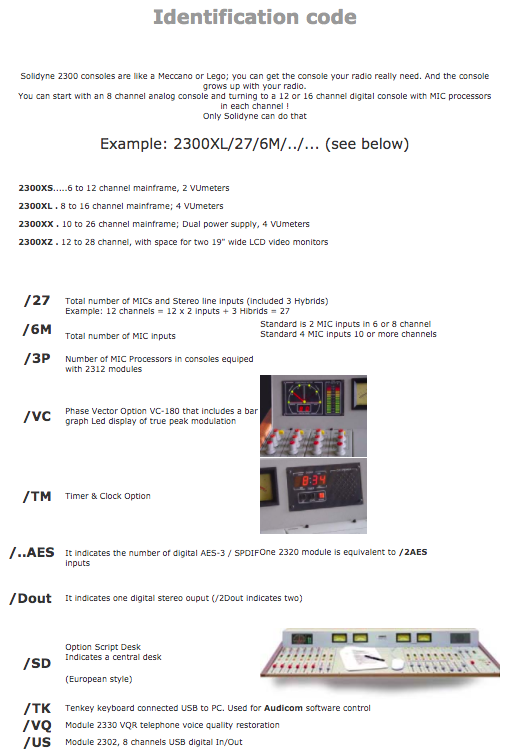 The optional 2330 module allows using VQR technology for all the telephone hybrid signals, included external hybrids. It means to restore the cuasi-original voice quality that is impaired during a telephone or cellular communication. One Start Devices output for each input module, to start external devices when open each channel fader. 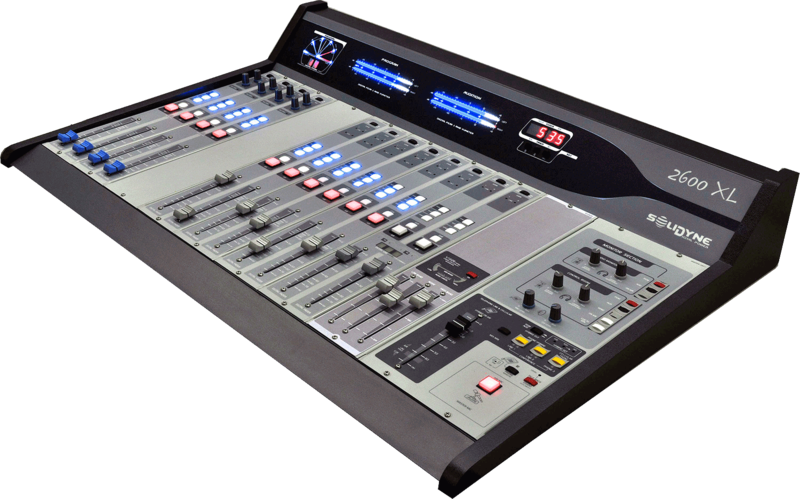 This allows to control Virtual Rack processors and start audio devices. Rejection adjust: quick Test Mode to adjust the hybrid balance without disturbing On-air operation. Preference atenuator: 10 dB local speaker interrupt priority; it can be disabled with internal jumper. 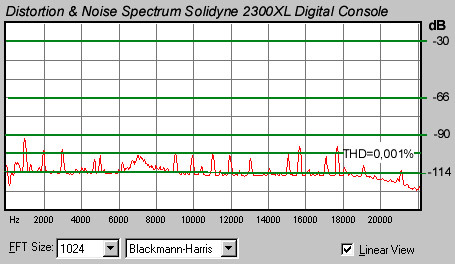 Espectro de la salida de la consola 2300XL con una señal senoidal de entrada de 1kHz en archivo WAV en el Hard Disk de PC. es decir muy por debajo del límite de audibilidad del oído humano. Esto incluye no solamente la consola sino el proceso de grabación/reproducción en Hard Disk !